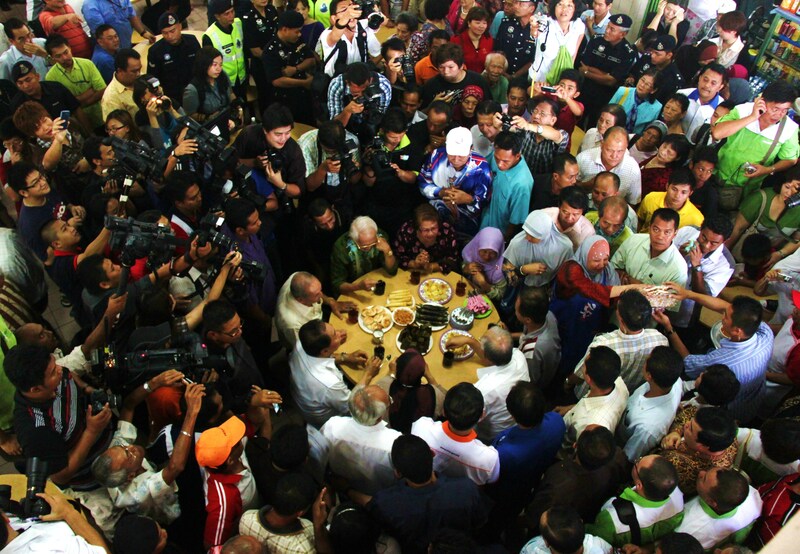 Malaysian Prime Minister Datuk Seri Najib Tun Abdul Razak was in Sarawak state for his three days visit recently. 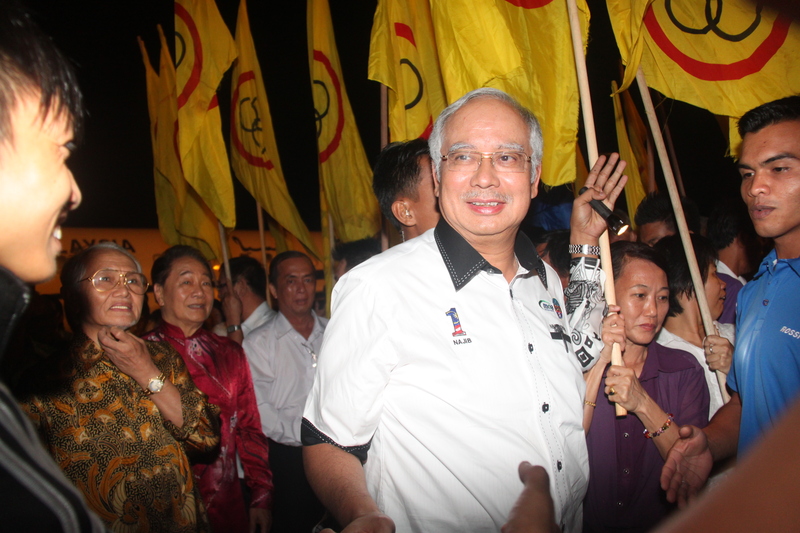 He spent two days in Sibu, Sarawak, starting on April 26, evening. 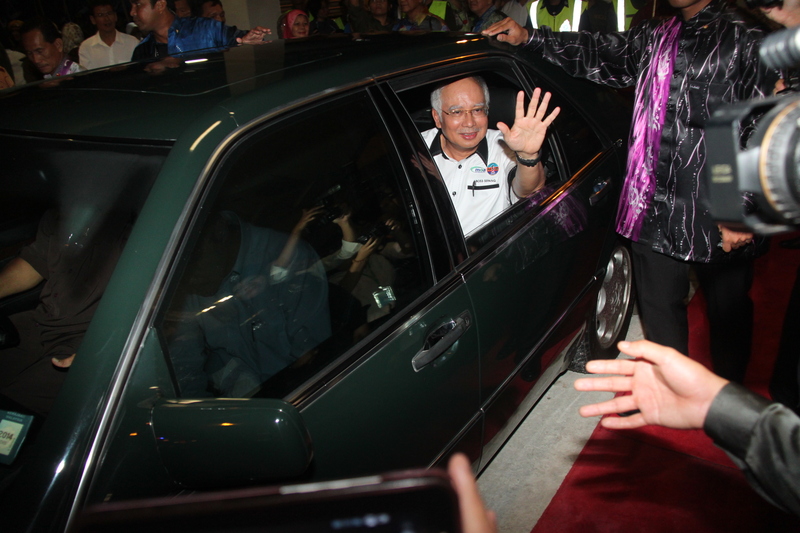 He arrived at the airport about 7pm on April 26 and about 2,000 people were there to welcome the premier. 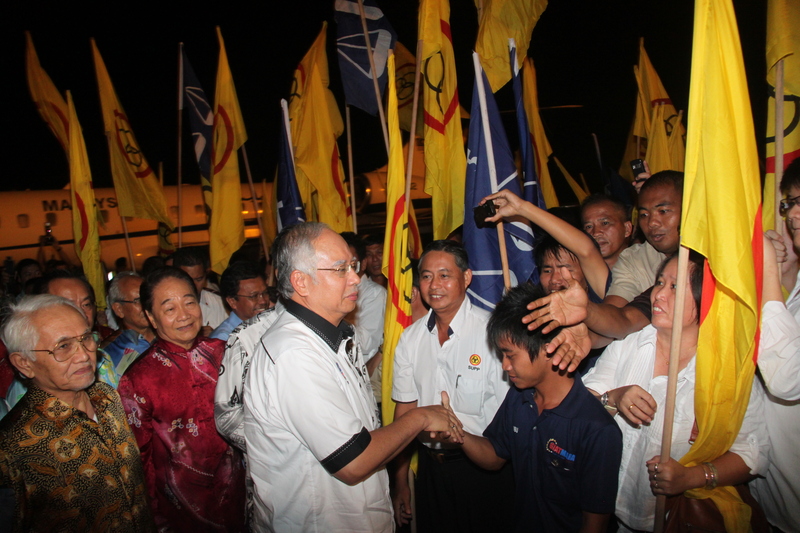 It was a very big event, because not often the prime minister visit this small town. Though I still don’t understand why people would rather being pushed and squeezed just to see him. This picture seems like it was an easy job taking pictures of the premier shaking hands with the supporters. The truth..it wasn’t easy. Imagine 2,000 people at the scene. Bodyguards pushed us backward to protect the Prime Minister, the supporters pushed us forward to take pictures or maybe a chance to have a handshake with him. 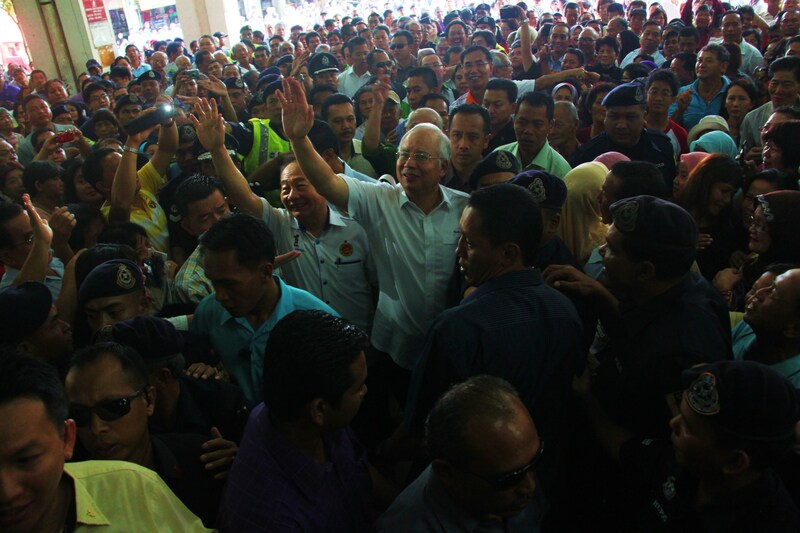 Prime Minister waves to his supporters during his walkabout at Sibu Central Market on April 27, morning. Sibu Central Market is the biggest central market in Malaysia. The response of his walkabout from the public was overwhelming. Thousands showed up to see him. Prime Minister having his morning tea at the Central Market. The entourage was surrounding by the public members and the media.